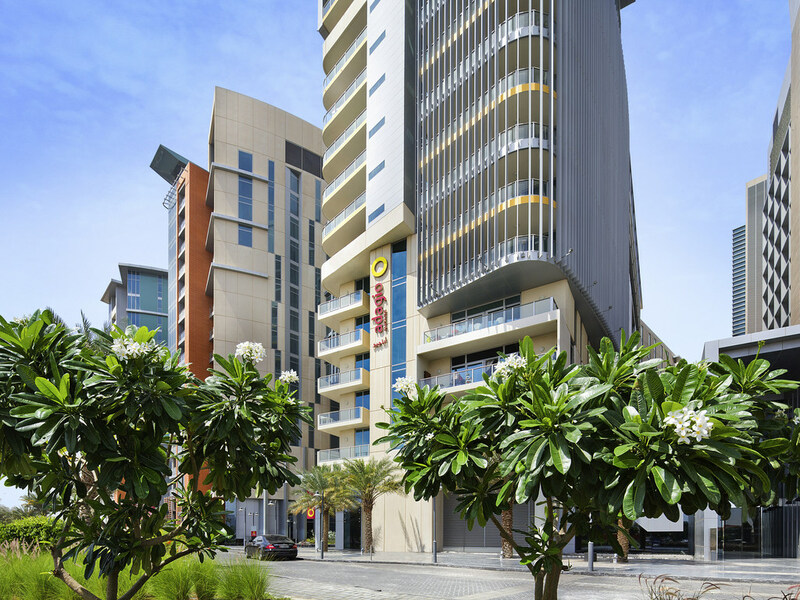 At the Aparthotel Adagio Abu Dhabi Al Bustan, 279 spacious, comfortable apartments, from studios to three-bedroom suites, provide a true home to business and leisure travellers. With an ideal location 20 minutes from Abu Dhabi International Airport, free WiFi in all rooms, and a fitness and wellness centre, we offer the ultimate in convenience, plus the luxury of four-star service. Our exclusive long stay rates guarantee great value and the opportunity to explore Abu Dhabi at your own pace. Our 279 apartments ranging from studio to 3 bedrooms are fully equipped with fitted kitchen, contemporary living space, high speed Internet connection, 42" satellite TV, stylish bathroom and laundry facilities.